As a kid in Minnesota, I remember seeing Arizona Highways magazine. Like many people all over the world, it was hard for me to imagine a place that could possibly be so beautiful. And it's only recently that I learned the real reason that the magazine was published in the first place. 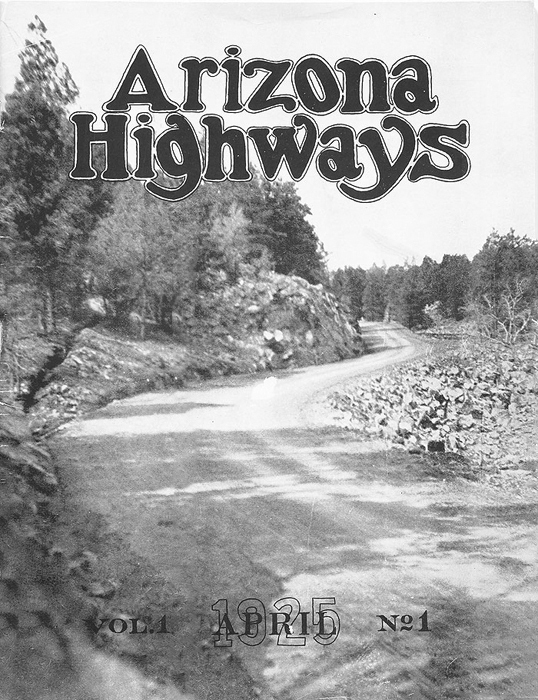 In 1925, when the first issue of Arizona Highways was published, it was a "wish list" for good highways that could take people to these beautiful places. The Federal Government was just barely getting into the road-building business, and it was important to get the word out. So a magazine was created just to show how beautiful Arizona is, and how cool it would to be able to have good highways to get around there. By the way, California Highways and Public Works magazine came out at about the same time. 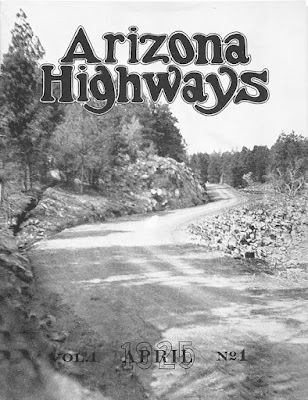 But Arizona Highways has evolved to a point undreamed of by the original publishers. It became more than a magazine that was recommending highways, it became a showcase for the beauty and splendor of Arizona. New printing technology, combined with the latest photography, allowed people to fantasize about seeing such a glorious place, even if they never visited there. I've lived in Arizona, and California, for all of my adult life. I have never stopped being astonished by the beauty of Arizona, and I am always saddened by people (many of whom grew up there) who really don't seem to see it. And if you're wondering where to go in Arizona to see magnificent sunsets, and beautiful mountains, all you need is an Arizona Highway. And be sure to take me along!